Al Rawi Bodyguard: [air raid sirens] Leave that! Space is limited! Al Rawi Bodyguard: [explosions beginning] Hurry up! Hurry! We must leave now! 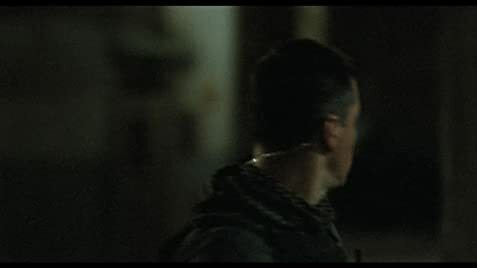 Al Rawi Bodyguard: [chaos in the hallways] Downstairs everyone! Al Rawi Bodyguard: General Al Rawi, sir. We must leave now. Al Rawi Bodyguard: Ayad, get in the car. I'm right behind you. Al Rawi Bodyguard: Seyyed, send the men to the safe houses. Q: Were there weapons of mass destruction in Iraq? Q: Was there any link between Saddam Hussein and the 9/11 attacks? One of the common threads linking films about the Iraq war is a sense of deep ambiguity about it's morality and purpose. "Green Zone" is no exception. 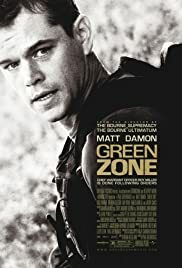 Matt Damon skilfully portrays Roy Miller, an Army Warrant Officer whose unit is tasked with searching suspected WMD facilities for proof of the existence of Iraqi chemical, nuclear, and biological weapons. A chance encounter with a sympathetic Iraqi civilian puts Miller on the trail of an Iraqi general who could provide him with the evidence that he needs. However, the Pentagon, the recently deposed Baathists, and the CIA all have different agendas for Iraq's future and Miller finds himself being used by players from all sides. This is a tautly paced, engrossing thriller that inhabits a moral world where all colors are shades of gray. The cast are excellent and the direction is top-notch. Particularly noteworthy is the realistic and sympathetic depiction of the Iraqi characters, irrespective of their allegiances. There is no shortage of action and the plot keeps you guessing until the credits roll. Along with "The Hurt Locker" this is one of the best films about the Iraq war and a brilliant night out to boot. 91 of 123 people found this review helpful. Was this review helpful to you?